The 1951 Grand Prix season ended on a very high note, with terrific battles between the supercharged 1.6-litre Alfa Romeos and the unsupercharged 4½-litre Ferraris. 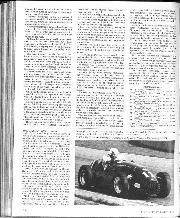 Alfa Romeo had been monopolising the scene with their Tipo 158 and Tipo 159 and their defeat by Ferrari on three occasions had everyone agog with excitement and anticipation tor the 1952 season. By this time, Maserati had faded from the scene and the much-publicised V16 BRM was still a bit of a joke. 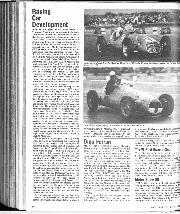 Before the 1952 season began Alfa Romeo dropped a bombshell by saying they were pulling out of Grand Prix racing. The reasons were numerous but basically it amounted to the fact that the Tipo 159 had met its match so a replacement was needed. There was a replacement in the offing, but more important Alfa Romeo was undergoing a vast industrial upheaval and industry was their life blood, so all available resources were needed to launch their manufacturing world into a new era. This left Ferrari without any serious opposition, though promises were still coming from the BRM factory at Bourne, but promises were not enoughfor race organisers. Before the World Championship season began there was a race at Turin for Formula 1 cars and at the time BRM were testing at Monza. They had every intention of taking part in the Turin race after their testing and a “run-off” between the supercharged V16 BRM 1½-litre the unsupercharged 4½-litre Ferraris looked promising. At the last moment the Monza test team were recalled home to Bourne and Ferrari was left without any opposition at Turin. This put the race organisers into a panic, for the World Championship series calendar was already drawn up and it looked as though BRM were going to continue as non-starters, leaving only the Ferrari works team and, handful of private owners with obsolete machines. Almost overnight the CSI switched the World Champoinship series from Formula 1 to Formula 2, which saved the day for the organisers and the years 1952 and 1953 saw the World Championship races run for unsupercharged 2-litre cars. There was little doubt that the change would be popular for Formula 2 had already got a pretty good calendar of events lined up with a big supply of entries. 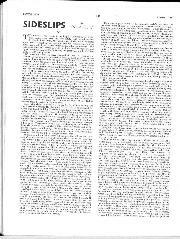 Notably, Ferrari was running a Formula 2 team as well as his Formula 1 team, and Maserati, Gordini, H.W.M. Cooper and Connaught were all active in this lesser category. Suddenly, small firms who were dabbling in International racing with Formula 2, found themselves involved in Grand Prix racing for the World Championship. Among these was the Connaught firm on the Portsmouth Road near Guildford in Surrey. 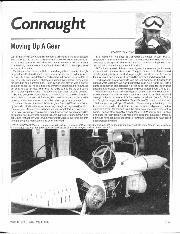 The Connaught firm, financed by Kenneth MacAlpine, with Rodney Clarke as conceptualist and Mike Oliver on engine development, had produced a very neat little single-seater powered by their own 2-litre development of the 1,750 c.c. Lea -Francis 4-cylinder engine, with inclined overhead valves operated by short pushrods from two camshafts mounted high in the cylinder block An ENV pre-selector gearbox was used, a large-diameter tube ladder-frame, with wishbone independent front suspension and de Dion rear suspension The A-type Connaught was notable for its very good road-holding and handling, but lacked power compared to Maserati and Ferrari. One of the concepts behind the Connaught design parameters was a low polar-moment of inertia, which demanded that all the weight masses should be within the wheelbase, at a time whim nobody thought it unusual to hang a 40 gallon fuel tank out behind the rear axle and it water and oil radiator ahead of the front axle. The A-type Connaught had its fuel in pannier tanks slung each side of the cockpit and attention was paid to details like the de Dion tube being located over the rear axle line rather than behind it. Great attention was paid to fore-and-aft weight distribution and the car was remarkably well balanced, Bolt-on alloy wheels were used at a time when the Italians were still using heavy splined hub wire-spoke wheels, and many aircraft practices were used tor fittings and fasteners, which today are normal procedure. As well as selling cars to private owners a works team was run and it was one of the team cars that is featured this month. The Connaught A8 was built during the winter of 1952/53 and the engine was fed by Hilborn-Travers fuel injection in place of the normal Amal carburetters. 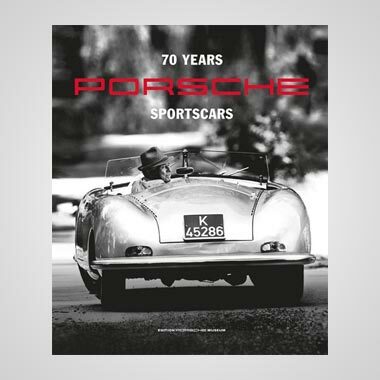 It was part of the works team for the 1953 season and was the last of the A series to be built, on a 7 ft. 1 in, wheelbase; the two subsequent AL series cars had a wheelbase of 7 ft. 6 in. A8 was used by the factory team in most of the major races of 1953, being driven by John Coombs, Stirling Moss and Prince Bira. Its best performance was in the British Grand Prix at Silverstone when the Siamese (Thai) Prince brought it home into 7th place, behind three Ferraris and three Maseratis. It was the first British car to finish and the first non-Italian car to finish rather like today being the first Cosworth-powered car to finish behind a row of turbo-charged cars. 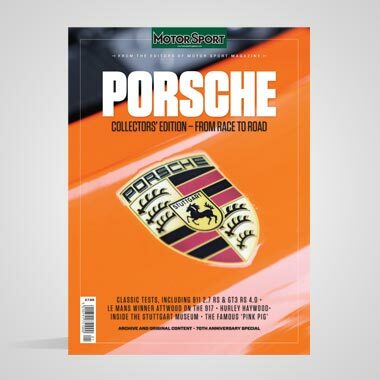 The race was over 90 laps of the Silverstone circuit and after a pit-stop to change plugs and a 360 degree spin late in the race “B. Bira" was eight laps behind the winning Ferrari, but on the same lap as the sixth placed Maserati. Ahead of them were Ascari, Fangio, Farina, Gonzalez and Hawthorn so it was no disgrace to be beaten. Bira also drove A8 at Reims in the Grand Prix de l'ACF and was leading “the rest" behind the factory Ferraris and Maseratis when the oil leaked out of the final-drive step-up gears. In the German Grand Prix, run on the Nürburgring, Bira again had to retire in A8 when a valve rocker broke. Before the end of the season A8 was replaced by a new car in the works team and was sold to Guy Jason-Henry who had a couple of small races with it, one at Goodwood and the other at Snetterton. The years 1952 and 1953 should have been the last of the old Formula 1 for a new Formula was due to come into being in 1954. As Formula 2 had taken over the major role for World Championship events most of the factories engaged with 2-litre cars made plans to stay in the major league for the new Formula which stipulated a maximum of 2½-litres for unsupercharged engines. 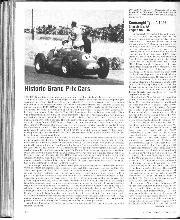 Connaught built their B-series cars with 2½-litre Alta engines and the A-series cars became obsolete so far as Grand Prix racing was concerned, though there was still some Formula 2 activity, but only on a small scale. A8 was taken back into the factory and in 1954 it was sold to Mike Young who used it in a few national events. 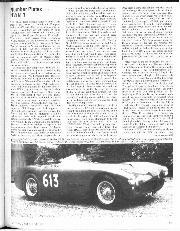 In 1955 Young had aspirations of doing a few Formula 1 events so he acquired a 2½-litre HWM-Alta engine and installed it in A8 in place of the Lea-Francis-based 2-litre. This involved some alterations to the front end, altering the oil tank and moving the steering rack and making new bodywork, though the original bodywork was kept. The 2-litre engine C16 was put into a Lotus X sports car for club racing. In its new guise A8 was driven by Young in the smaller events and early in 1956 he took the car out to South Africa, racing in Capetown. Johannesburg, and Pietermaritzburg. He then went on to Salisbury in Southern Rhodesia but there suffered a major engine blow-up. The car was shipped home by sea while its owner flew home, but then the Suez crisis brewed up and it was October before the ship reached the London docks. By this time Young had decided to give up racing, due to pressure of business commitments, so after being rebuilt the car was sold. The new owner did little with it, but passed it on to a group of enthusiasts who had an HWM single-seater and they bought it principally for the HWM-Alta engine. The car A8, less engine, was sold to Phil Bowker who much later located the Lotus Mark X which was still using engine C16. He bought the engine and when the present owner of A8, Gerry Walton, bought the car he also bought its original engine. The original bodywork panels had stayed with the car so Walton was able to put it all together again as it had been in 1953. Gerry Walton races A8 regularly in Historic Racing, at VSCC events and in the Lloyds and Scottish sponsored races, and while it is not fast enough to compete against 2½-litre Grand Prix cars, and especially those using 3-litre engines, it gives the owner a lot of pleasure and a lot of good racing. 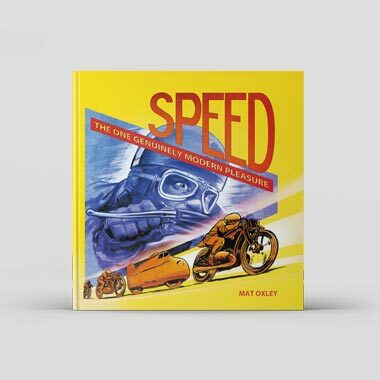 He has the satisfaction of knowing that he is driving an Historic Racing Car at the sort of speeds it went at when it was new, unlike some cars of the fifties that go much faster now than ever they did when they were factory cars! While the Connaught A8 was not built expressly as a Grand Prix car, it became a Grand Prix car due to the sudden change in the regulations. When you see Gerry Walton's Connaught you can say “that's the car Prince Bira drove in the British Grand Prix, the German Grand Prix and the French Grand Prix", among other events. — D.S.J.